Jio revised plans will live on 26th January 2018. Please don’t do Recharge on your Jio Mobile number if you want to take benefit of Jio Republic day plans. After Choosing your favorite plan, Visit here to Check latest Reliance Jio recharge offers. 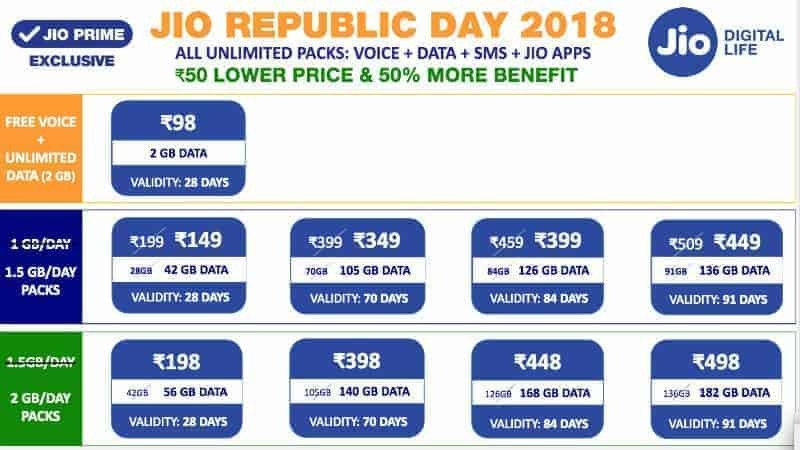 If you have any doubt related to Reliance Jio Republic day offers, please feel free to drop a comment below!! Yes Rishabh, Go ahead, You will get benefits of this new plan after expiring your old one. But This plan will live on 26th January 2018, So please do recharge after 26th Jan only.